Blog — Miller Rosentel Associates, Inc.
Congratulations Barnes and Noble Booksellers! MRA would like to congratulate Barnes and Noble Booksellers on their re-opening at Arena Hub Plaza. MRA was happy to be a part in the rebuild of their store after the June 2018 tornado. 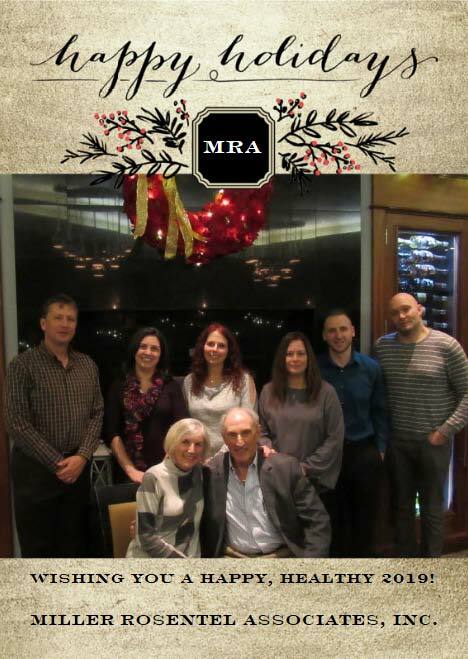 Happy Holidays from all of us at Miller Rosentel Associates Inc.
PLAINS TWP. — Two years ago, Ross Spengler and his wife decided to sell their 50-acre horse farm in the Back Mountain and retire in a home that didn’t demand their constant upkeep. The Spenglers, who owned two dogs, four cats and a horse at the time, looked and looked, but couldn’t find anything remotely suitable. Fortunately for them and dozens of others looking for pet-friendly luxury digs in the Wyoming Valley, the sale of the farm fell through, and Ross began working with architect and designer Kim Rosentel on plans to build a luxury riverfront apartment complex next to two waterfront office buildings on River Street that Spengler developed over 10 years ago. On Wednesday, dozens of curious potential tenants filled the back rooms of the River Grille — which is located in one of those two office buildings — for an open house where they viewed architectural renderings of the apartments and on-site amenities. 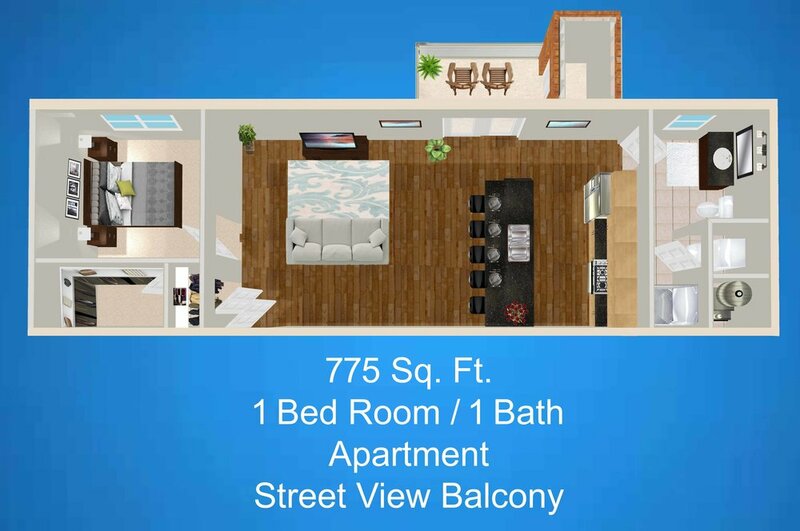 Floor plans showed living spaces ranging from 543-square-foot studio apartments to a 2,050-square-foot two-bedroom penthouse suite. The approximately $25 million eight-story complex also will offer a fitness center, outdoor putting green, enclosed pet park, above-ground and underground parking and numerous other conveniences. The ground floor will have retail shops for tenants’ food, refreshment, health, leisure and beauty needs. Rents start at $1,200 per month. “I really wanted to see what … it had to offer. Being on the river, I wanted to see what the view from the apartments would look like,” said Karen Keen, of Bear Creek Twp. Keen, 57, said she likes what she saw, but she’s not going to rent an apartment just yet. Craig Kasper, who did a marketing study for Spengler, said such apartments are in demand locally. The closest alternative luxury apartments in Pittston and downtown Wilkes-Barre are at 95 to 100 percent capacity, he said. Gershom Spengler, Ross’ son and project manager, said the open house was well-attended. Ten people already presented deposit checks. Ross Spengler said realtors and developers are working to bring companies with good-paying jobs to the area. Be sure to stop by Booth #636 to see these smiling faces! Murray and Chuck will be available during the ICSC Convention to answer any questions you may have. The exterior design of the new bank incorporates a combination of metals and natural materials on the façade which were carried through to the interior space. The modern technical elements of the bank combined with the timeless elevation make this building distinct to the area. Thanks to Robert Tamburro and FNCB Bank for giving us the opportunity to design this unique building. Progress photo of the Burger King in Tunkhannock, Pennsylvania. FNCB Bank celebrated the official grand opening of its new full-service community office at 1150 Route 315, Plains Township on Wednesday, June 13, 2018 with a ribbon cutting ceremony featuring Bank staff, board members, elected officials and customers. Murray, his wife Elly, and Chuck were there to celebrate as well. The exterior design incorporates a combination of metals and natural materials on the façade which were carried through to the interior space. The modern technical elements of the bank combined with the timeless elevation make this building distinct to the area. Thank you for voting Miller Rosentel Associates Inc. as Best Architect! Progress photo of the FNCB Bank on Route 315 Plains Township, Pennsylvania. Progress shots of the work being done inside the Price Chopper in Edwardsville, PA.
We would like to congratulate Mohegan Sun Pocono on their newest attraction, Molly O'Sheas Pub and Eatery. 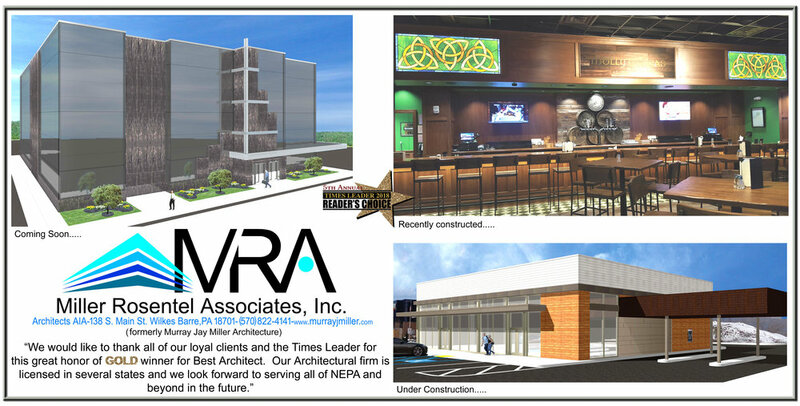 It was a pleasure to work with the casino on the design of this traditional Irish pub. We hope you have a wonderful holiday and a very happy, healthy New Year! Be sure to keep an eye out for these smiling faces. Murray and Kim will be available during the ICSC Convention to answer any questions you may have. Another great project completed for a long time client. Murray Jay Miller - AIA is excited to announce the Grand Opening of the new Mavis Discount Tire in Pittston Twp., PA.
Nice work done by A. Pickett Construction! Be sure to stop by Booth #136 to see these smiling faces! Murray and Chuck will be available during the ICSC Convention to answer any questions you may have.